Wondering if there are any free souvenirs or things to do at Disneyland? This post gives you tips and tricks for saving money at Disneyland and Disney California Adventure by enjoying some of the freebies inside and outside the parks. I know what you’re thinking, “the place where just about every ride exits into a gift shop has FREE things?” Your skepticism is well-founded, but this isn’t just a lame list with things like random rocks you find on the ground to befriend or park maps. There are actual, cool free things to do at Disneyland. Really! While there are some basics here like park maps and newspapers, this isn’t a list meant to point out the obvious that you can get free water from a drinking fountain or “free” sunburn in Disneyland. These are mostly less-obvious freebies. If you are trying to do Disneyland on a budget, this list is a great way to give yourself some added fun without breaking the bank! Vacation Planning – This is one for when you start planning…request a free vacation planning video from Disney. The video is a lot of fun and a great way to get hyped for your Disneyland vacation! Celebration Buttons – As soon as you arrive, this is the first free thing you should get is a celebration button. Whether it’s your first trip, birthday, honeymoon, etc., be sure to get a celebration button at City Hall. The buttons are a freebie themselves, but you’re also more likely to receive other freebies or Cast Members who try to make your day special. Just don’t abuse the buttons or gain a sense of entitlement when wearing them. That’s unfortunately all too common, and will not help. Licenses – The California DMV is probably the least efficient in the country. Don’t worry, through the magic of Disney, you can get your CA license in a snap, without any silly vision tests or age requirements! Just ride the Autopia, and ask for a license. Pilot’s licenses are also available on the Mark Twain if you’re able to make it into the Wheelhouse (ask a Cast Member on the dock early in the day). Water – No, not the drinking fountains (I promised that wouldn’t be a tip)! Disneyland Resort counter service restaurants will give you a free cup of water (ask for a large cup!) or a free cup of hot water. Chocolate – If you do go to Pacific Wharf in Disney California Adventure, Ghiradelli offers free chocolate samples. Bread – Likewise at Pacific Wharf’s Boudin Bakery, you get free bread on the bakery tour (don’t worry, continuing the tour is optional). Refills – There are a few counter service restaurants at Disneyland Resort with self-service beverage stations (Redd Rockett’s Pizza Port, Boardwalk Pizza & Pasta, and Rancho del Zocalo) all of which used to consistently offer free refills. Recently, some have been sporadically enforcing a “no refills” policy. It’s very hit or miss, but I still try. However, one hidden gem, Whitewater Snacks in the Grand Californian, has a Coke Freestyle machine that does (always) allow free refills. Plus, it’s Coke Freestyle! Dining Under Age 3 – At Disneyland buffets, kids under age 3 eat for free off of a parents’ plate. This is great news at the pricey Goofy’s Kitchen buffet! Fireworks – Each night shortly before the fireworks begin at Disneyland, you will notice a ton of people seated in the Esplanade between the parks. They’re there to watch the fireworks, and this location actually provides a pretty good view. The fireworks can really be seen from anywhere in Anaheim, but I think this spot is best because you can actually hear part of the show, and the bursts appear much closer. The top of Mickey & Friends parking structure is another good spot. World of Color – This one is only for Disney Vacation Club members, but these guests can access a special viewing platform in the Grand Californian Hotel’s DVC wing that offers views of World of Color. It’s not the best view, but if you don’t have park tickets, it’s a cool way to end the day! Restaurant Tour – The lavishly detailed and historically rich Carthay Circle Restaurant offers a once-daily tour that lasts about 15 minutes. Last I checked, it was held pretty early in the morning, so I’d recommend checking with the restaurant shortly after rope drop. Resort Tour – Disney’s Grand Californian Hotel & Spa is a gorgeous hotel, brimming with detail and influenced by several real world locations in California. You can learn all about this on the “Art of the Craft Tour“. Check with the hotel concierge for specific times and make sure to sign up early. WiFi – Staying in a stingy off-site hotel that charges for WiFi? Head to the lobby of one of the Disneyland Resort Hotels (I’d recommend the Grand Californian, where the speed is best in the lobby) and use the free WiFi. I sometimes take my laptop with me on a visit to Disneyland and spend a little time in a quiet alcove enjoying the ambiance and background music, and getting work done! Photography – Many guests assume PhotoPass is not useful for them if they’re not going to purchase the CD or prints. 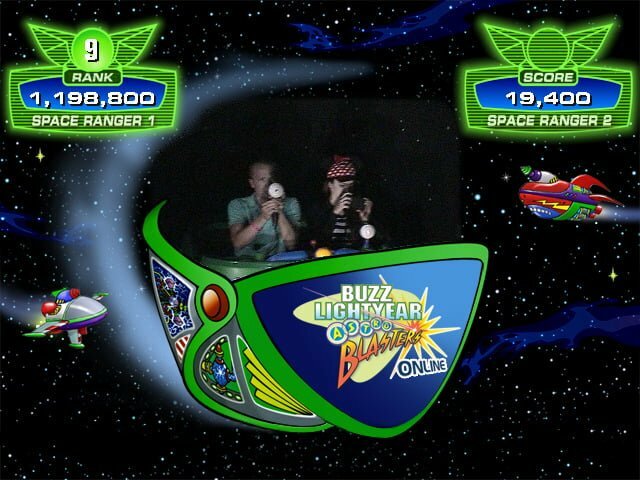 That’s not true at all–any PhotoPass Cast Member will take photos of you with your camera. Same goes for character attendants. In the case of PhotoPass, take the card if you want to be polite, but that’s not necessary. First Aid – As I “pretend” to be Californian, I sometimes wear my Rainbows to the parks. Bad idea, as I get terrible blisters after a long day. Following my stupidity, I stop at First Aid to get some free Band-Aids. They also have things like Aspirin, and a range of over the counter medications. Valet Parking at Hotels – If you dine at Napa Rose or Steakhouse 55, you get 3 hours of free valet parking at the Grand Californian or Disneyland Hotel, respectively. DVD Rentals – This one only applies to Disney Vacation Club members, but you can request DVDs from the library at the Grand Californian. Wake Up Call – Guests of Disneyland Resort hotels can request a free wake up call from a Disney character on their hotel phone. Luggage Storage & Transfer – If your flight isn’t until late in the day on your day of departure, Bell Services will hold your bags. Tips are customary in this situation. I think that’s about it as far as free things at Disneyland go. I mean, you could expand upon it even further and include every single attraction since it’s all “free” after admission…but I think that’s a bit silly. Hopefully the line I’ve drawn makes some sense and gives you an idea of new things you can do, eat, and have without spending extra money! Given the cost of a Disneyland vacation, I think it’s nice to see a list with so many things that are basically added bonuses. If you’re heading to Disneyland for vacation, check out our other posts to help you plan, including our Tips for Saving Money on Disneyland Tickets, a look at Disneyland Area Hotel Reviews & Rankings, our Unique Packing List for Disney Trips, an index of our Disneyland Resort Restaurant Reviews, and a number of other things in our comprehensive Disneyland Trip Planning Guide! So that’s our list, what’s on your list of the best free things at Disneyland? Any other tips or lost-cost options? Any questions we can help you answer? Hearing feedback about your experiences is both interesting to us and helpful to other readers, so please share your thoughts below in the comments! I know of no hotel in any place on earth that doesn’t offer “free” wake up calls. Just sayin’. We are taking our 10 yr old daughter to disney for the first time this October ON her birthday. Do you have more tips other than the birthday button (this is sure going to delight her already, I am sure!)? Thank you! I loved this post! I knew about a few of these things, like collecting FastPass tickets and the newspaper, but the different tours and free samples are all news to me. Do you have a post like this for Walt Disney World (or are you planning on writing one)? My friends and I are visiting again in a few months and I can’t think of many free things like this off the top of my head. Also, off-topic, but I just noticed the little creatures serving as everyone’s default photos in the comments! What’s the story behind those guys? Know how many of these are available at Paris too? We’re going in two weeks and I can’t wait! You occasionally ask what kind of articles we enjoy most. I really like this kind of article!!! I knew about most of this stuff, but didn’t know about the newspaper. Thanks! I try to pick up each issue of the Buena Vista Bugle, but I’ve missed a couple! Just wanting to know if there is Free WIFI or wifi at all in the disneyland park or just in the hotels? My oldest when he was 6 had to test out the First Aid for something a bit more serious than the blisters. Very pleased with the service there. However he did get a freebie, a Golden Ticket for his choice of fastpass on ANY ride, a free stuffed toy or free ice cream treat. That’s awesome, and a really nice example of great guest service by that Cast Member! I took my grandson to first aid when he took a spill at Disneyland. He had gotten some blood on his shirt. The nurse took very good care of him; and then gave me a voucher to get him a new t shirt. The Plaza Inn also has no issues with Free Refills, consumed in one seating/meal of course. Gah, you told people about Whitewater Snacks, the secret place! Now everyone will know! Ah, I didn’t even consider Plaza Inn since they are ‘high class’ counter service (then again, so is Rancho). Good catch! Whitewater Snacks also has the best counter service burger at Disneyland Resort. Have you tried it? 1) Free live-music. From Tomasina at Tomorrowland to The Royal Swing Band to The Laughing Stock Co. to Dapper Dan etc, there is no shortage of live music opportunities where you can sit-back, rest, & enjoy. 2) Learn-to-draw classes at the Animation Academy. I enjoyed drawing Olaf & got to keep the pic. One of my most treasured free things. My husband’s attempt was so funny that we still laugh when we look at it. 3) Disney’s Aladdin. I know this is an “attraction.” But it is also a free broadway theater-type play. For free. I paid $79 to see the play at home. Tickets start at $40 on Broadway in NY. But it’s not only free, but vastly superior. I agree with you that Aladdin is really high quality, and far better than what would be expected of a theme park. The problem, though, is where do you draw the line with what’s “free” in addition to park admission and what’s to be expected? You could make a case that Radiator Springs Racers is so much better than a normal attraction that it should count if Aladdin counts. It’s a tough line to draw, and could seem somewhat arbitrary, but I think any attractions on the map should be “expected” and not counted as free. That just happens to be my “line” though. I’m inclined to agree with Animation Academy, because you get something tangible out of that. But I didn’t know, and thus was pleasantly surprised, that there was a Broadway caliber show in an actual theater (as opposed to the freebie music/variety shows which, yes, you would expect). And even when I pulled up, I thought it was going to be an edited type of performance maybe lasting 30 minutes in the same line as Mickey’s Magical Map or something. I didn’t expect the full show in a Broadway style. If you do consider it a bare-minimum attraction, the the price you pay for admission is a real steal because if it wasn’t included in the cost of admission (and you had to purchase tickets separately), it would be worth at least $40-$150/seat depending on where you sit (to compare to real-world prices). Haha! Sarah wasn’t actually in the car for that. I started using that gun in the first room, but thought it wasn’t working, so I switched. Also, note my rankings (top left corner): #7 & #9 for the day. Truly my greatest achievement, ever. As far as free cups of water at counter service restaurants goes, be forewarned that the tap water in Anaheim is horrendous. I have tried it at a few different places and gagged every time. I don’t mind the water from the restaurants at all – with one exception. The water at the Cozy Cone popcorn counter tastes like butter and has a sort of greasy sheen. I think there’s so much butter flavoring in the air in there that it seeps into the water. growing up in OC, the water wasn’t great but it sure beats the taste of tap water here in PHoenix. When you mention the Luggage Storage freebie, you just mean for people who stayed at a Disney hotel–right? It would be pretty awesome if that weren’t the case…! It depends upon how brazen you are. I know someone who stores their luggage with bell services at hotels (at which they aren’t staying) for convenience purposes, but I’ve never tried it. I’m not sure whether the Disney hotels ask for a room number, or not. Most hotels–not just Disney hotels–will hold luggage at bell services/the front desk. If you don’t like that option, there are luggage lockers at the Desert Inn across the street from the Esplanade.